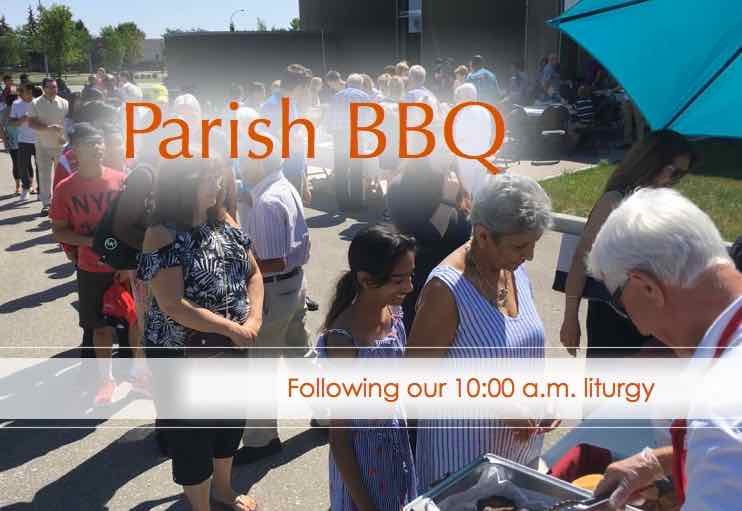 Join us for our next Parish BBQ scheduled for Sunday, August 26, following our 11:00 a.m. liturgy, hosted by our Knights of Columbus and Fellowship Ministry. The lunch is FREE, but donations are graciously accepted and appreciated. All proceeds will benefit charities sponsored by our Knights. Come and enjoy food and fellowship. Feel free to bring your lawn chair or picnic blanket. In the event of rain, we will move indoors and gather in the narthex. See you there!